Organization skills do not come easily to most young lawyers and yet this one area can have a great impact positive or negative on their performance and profitability. 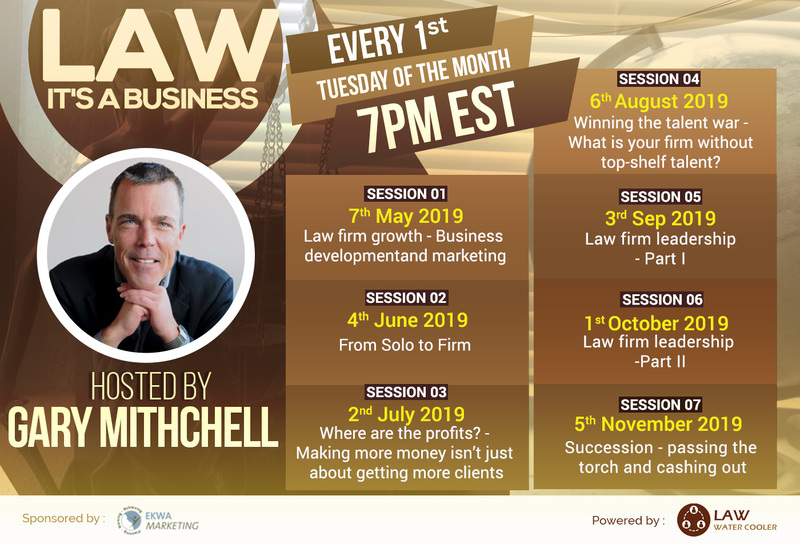 Running a profitable law firm is not just about getting more clients. It’s also about becoming as efficient as possible. Helping your lawyers become more productive will dramatically impact your bottom line. Other benefits include happier employees, team engagement and a more seamless workflow. And that leads to happier clients. When your lawyers have improved their practice management skills, consider enrolling them into my Business Development Program so they can start to build their own book. I follow a proprietary methodology called TST™, (Targeted, Strategic, and Tactical). This methodology was created working with Lawyers and Law Firm Professionals just like you. Following this methodology, your lawyers will have a more focused approach to their practice management efforts, leading to higher productivity and profitability. The combination of the length of time I work with your lawyers, (designed understanding how much time it takes to change habits, or learn new ones), the frequency and intensity in which I work with them, (accountability), the program content, (designed specifically for lawyers), and flexibility (meeting individual needs in the moment), are the reasons for my clients’ success.